Debbie Benedetti is Associate Professor of English and Academic Studies and also the Writing Coordinator at Pierpont Community & Technical College in Fairmont, West Virginia, where she teaches a variety of writing courses. 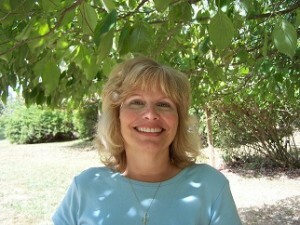 She has focused her career on higher education and has also taught in the public school system. She holds a bachelor s and master’s degree from West Virginia University in English and English Education, respectively, and has completed extensive postgraduate work in educational psychology. She is a member of numerous professional organizations and is listed in national registries for professionals and executives. She has presented papers on writing and learning styles at state and national conferences and has conducted statewide poetry and creative writing workshops for high school students. She has formerly served as assistant editor of Grab-a-Nickel, a West Virginia literary publication. Her poetry has been published in several journals and literary magazines, including The Hamilton Stone Review, Grab-a-Nickel, and Influx. This is her first children’s picture book.